Although it took me some time to finally finish reading this, I really did enjoy it. 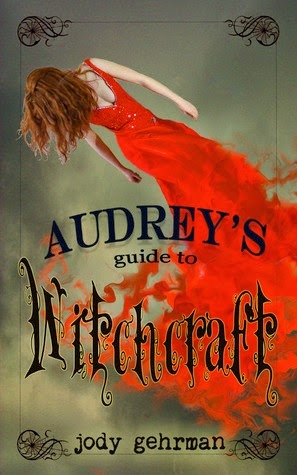 Audrey's Guide to Witchcraft is about a girl who has just figured out that she is a witch after her mothers goes missing. She must learn how to use her powers in order to help save her mother, but along the way there are a lot of other plots happening. I found this to be such an interesting read, because it wasn't just about a witch, but a witch who has just learned what she is, and she also doesn't have an easy time figuring out her powers. 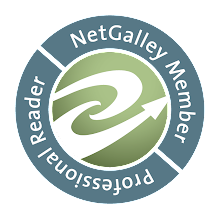 It had so many different sources to add tension to the book that it added a lot of complexities and really made the story that much more engaging. I loved that this wasn't a one track story, because it offered so much that the reader wanted to find out. Plus, this is a series which means there are that many more loose ends to ties up in books to follow that will keep readers hooked. I really enjoyed Audrey's character, because I really connected with her. She is a very quiet, shy girl who only has one friend and strives for perfection. She doesn't like to be the center of attention and just wants to be successful. She also has this very quirky sense of humor that I really enjoyed, because all of these bad things are happening in Audrey's life and instead of being consumed with them, she uses humor to get through it all. I also really enjoyed the love interest. Audrey and him have such a great connection and I cannot wait to read more about it. In the story something is revealed to audrey, but then her memory is erased. I can't wait to read when she figures it out again! All of the characters were really well done and each had their own, unique personality. I read this book in short bursts here and there and normally when I do that I always have to go back and remember who characters are, but with this book I never had to do that. I easily recognized who was who by their personalities and that is such a strong point in Jody Gehrman's writing. The ending is great and leaves so much unfinished business. Like Audrey, I always had an inkling about what is revealed in the end, but until the ending it was never confirmed. The last couple chapters of the book is such a rush and you can really feel the pace quicken and the ominous feeling that something bad is going to happen. Overall, I really enjoyed this story and will most likely continue with it. I really enjoyed reading this story. I loved that this wasn't a one track storyline, but had so many sources for added tension throughout. It left so much unfinished business in the end that really makes you eager to read the next book in the series to find out what happens. One of the strongest points about Gehrman's writing in her character development. I loved that I didn't ever get confused about who all the characters were and could easily pick back up where I left off reading. The ending was really great and brings so much action with it. I recommend this to those who are looking for a good YA book about witches and will most likely continue with this series.